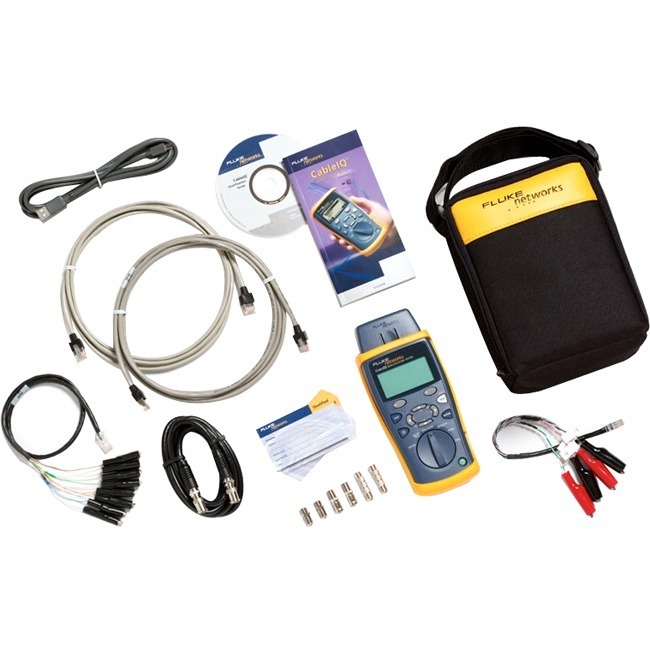 The CableIQ Residential Qualifier Kit is designed for residential installers who need to document that cabling systems were installed properly and will perform reliably. It quickly qualifies home cabling networks to support voice, VoIP, 10/100/1000 Ethernet, and CATV. With included adapters, it replaces multiple tools for testing and troubleshooting all voice, data, audio/video, coax, and security wiring. Included CableIQ Reporter software allows installers to begin generating professional test reports immediately. Includes CableIQ with remote adapter, F/BNC/RCA coax, bare wire, and speaker wire adapters, 50-pack Qualified labels.